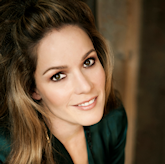 Heather Buck’s wide span of operatic repertoire spans from creating Alma in Wuourinen’s Brokeback Mountain at Madrid’s Teatro Real, Ku in Prestini’s Gilgamesh, and Haroun in Wuourinen’s Haroun and the Sea of Stories; to singing US stage premiers of Lachenmann’s Little Matchgirl, Rihm’s Proserpina (title role), Dusapin’s Faustus, the Last Night (Angel), and Adès’ Powder Her Face (The Maid); to enjoying standard repertoire such as Pearl Fishers (Leïla), L’elisir d’Amore (Adina), Il Viaggio a Reims (Comtesse de Folleville), Ariadne auf Naxos (Zerbinetta), Glass’ Orphée (La Princesse), Previn’s A Streetcar Named Desire (Stella), A Midsummer Night’s Dream (Tytania), Adams’ Nixon in China (Pat Nixon, Madame Mao), and Magic Flute (Queen of the Night). Concert performances have brought her to such illustrious stages the Marinsky Theater, Beijing’s National Center for the Performing Arts, the Concertgebouw, and Carnegie Hall, in repertoire ranging from Handel’s Messiah, to Orff’s Carmina Burana, to Glass’ Symphony No. 5. 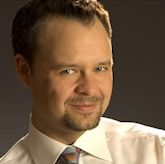 Aaron Engebreth enjoys a career in opera, oratorio, recital and devotes considerable energy to both established and contemporary music. In addition to his recent Carnegie Hall debut with New England Symphonic Ensemble, he has been a soloist in performances from Japan’s Kitara Hall and Boston’s Symphony Hall, to Theatre de la Ville in Paris and the AmBul festival of Bulgaria. Mr. Engebreth made his debut at Washington’s Kennedy Center; appeared with the Tanglewood, Ravinia and Monadnock Music Festivals; and with orchestras including Portland, Virginia and San Diego. Recent appearances include concerts and recordings with Boston Modern Orchestra Project, Boston Landmarks’ Symphony Orchestra, Vancouver International Song Institute and the Firebird Ensemble. This season features a Bernstein Centenary In collaboration with Boston Symphony Orchestra and Museum of Fine Arts, performances with Le Central de Lyon, Concert de l’Hostel Dieu, Écully Musical, Boston Camerata and recitals in Lyon, Paris and San Francisco. Gil Rose is a conductor helping to shape the future of classical music. His dynamic performances and many recordings have garnered international critical praise. Over the past decade, Mr. Rose has built a reputation as one of the country’s most inventive and versatile opera conductors. He is the founder of Odyssey Opera, a highly-acclaimed company dedicated to eclectic and overlooked operatic repertoire. Mr. Rose led Opera Boston as its Music Director starting in 2003, and in 2010 was appointed the company's first Artistic Director. With Opera Boston and the contemporary festival Opera Unlimited, he conducted multiple New England, American, and world premieres. Mr. Rose is also a frequent guest conductor, appearing most recently in his 2016 New York City Opera debut at Jazz at Lincoln Center, and in his 2015 Japanese debut substituting for Seiji Ozawa at the Matsumoto Festival. 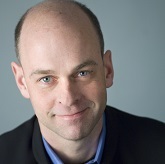 In 1996, Mr. Rose founded the Boston Modern Orchestra Project (BMOP), whose unique programming and high performance standards have earned the orchestra fourteen ASCAP awards for adventurous programming, the John S. Edwards Award, and Musical America’s 2016 Ensemble of the Year Award. An active recording artist, he serves as the executive producer of the BMOP/sound label, which has received widespread praise for its contemporary and 20th-century catalog of over 70 releases. He has led the longstanding Monadnock Music Festival in historic Peterborough, NH, since 2012. Mr. Rose’s accolades include Columbia University’s prestigious Ditson Award, an ASCAP Concert Music Award for exemplary commitment to new American music, and four Grammy Award nominations.